CANTON, Mass. (October 28, 2014) -- Dunkin’ Donuts is bringing together two bakery favorites into one tasty treat, today announcing plans to launch the Croissant Donut at participating Dunkin’ Donuts restaurants nationwide beginning on Monday, November 3. Dunkin’ Donuts’ Croissant Donut features a delicate and flaky croissant ring that is glazed like a donut. The Croissant Donut will be made in limited quantities and served each day while supplies last for a limited time only at participating restaurants nationwide. The suggested retail price is $2.49. "Dunkin’ Donuts’ baking heritage goes back nearly 65 years and we are proud to extend our bakery lineup with the addition of our new Croissant Donut,” said Jeff Miller, Dunkin’ Brands Executive Chef and Vice President of Culinary Innovation. "The Croissant Donut has 24 layers of buttery dough and is covered with the same sweet distinctive glaze used on our Glazed Donuts, creating the ultimate pastry that is crisp on the outside and soft and flaky on the inside. We look forward to bringing this new, unique bakery item to our guests nationwide." As part of the launch, Dunkin’ Donuts selected 12 lucky members of its DD Perks® loyalty program to be honored with a special Croissant Donut tasting at a Dunkin’ Donuts restaurant in his or her market during the first week of November. 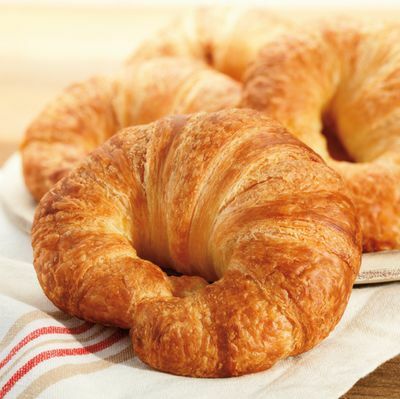 At each tasting, the DD Perks member will have the chance to be among the first to try the new treat, and Croissant Donuts will be offered free to the first 500 guests while supplies last. As another way to say thank you, each of the selected DD Perks members will also receive $500 in Dunkin’ Donuts Cards, so he or she can keep running with Croissant Donuts and their favorite Dunkin’ Donuts food and beverages into the New Year. Additionally, anyone who registers for DD Perks today through November 19 using the special promotional code “DONUTS” is eligible to receive a year’s supply of donuts from Dunkin’ Donuts. Dunkin’ Donuts will randomly select a total of five lucky winners. No purchase necessary. Void where prohibited. 13+ to enter. For sweepstakes rules and the alternative means of entry, please visit http://dun.kn/12Szqi6. To enroll in DD Perks and for complete details about the program, visit www.DDPerks.com. The DD Perks Rewards program offers guests a coupon to receive a free beverage upon registering, and points toward free Dunkin’ Donuts beverages with every qualifying purchase. 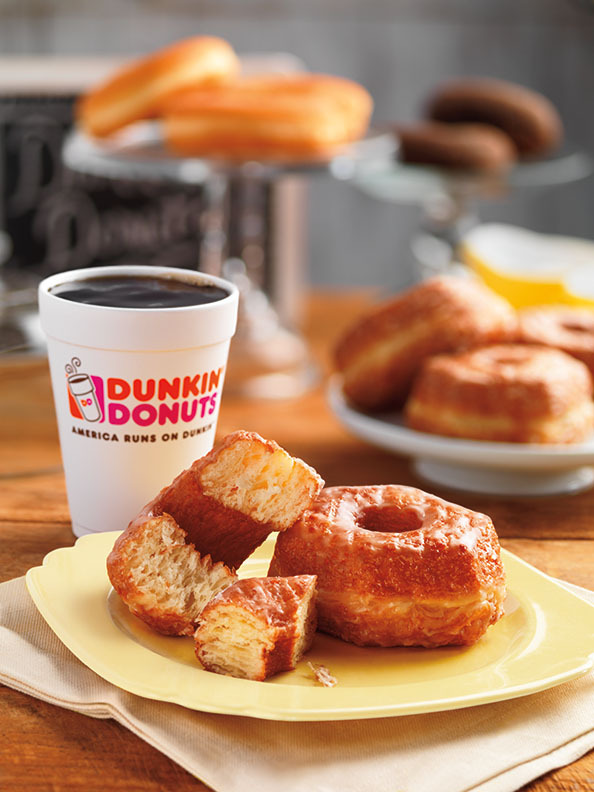 Finally, this month Dunkin’ Donuts will kick-off a Croissant Donut sampling vehicle tour in select cities throughout the Northeast to give people the opportunity to try the Croissant Donut, as well as the brand’s new Rainforest Alliance Certified™ Dark Roast Coffee. For specific times and locations for the sampling tour, follow the brand on Facebook (www.facebook.com/DunkinDonuts) and Twitter (www.twitter.com/DunkinDonuts). Dunkin' Donuts has been a leader in the donut category for nearly 65 years, selling 2.5 billion donuts and MUNCHKINS® donut hole treats annually worldwide. Within the United States, Dunkin’ Donuts offers more than 70 varieties of donuts, including beloved flavors such as Boston Kreme, Glazed, Chocolate Glazed Cake and Chocolate Frosted.